Often, there is a great deal of confusion between the symptoms of heartburn and that of angina pain. This probably arises due to the fact that an angina episode includes getting heartburn. However, there are differences between the two that should be recognized and understood. Before we go on to study the symptoms of heartburn, let us first try and understand the cause of heartburn. When we chew food in the mouth, it gets mixed with saliva and this begins the process of digestion. After this, food is passed down the swallowing tube or the esophagus. Tiny contractions in this tube enable the food to gradually pass into the stomach. There is a vital link between the stomach and the esophagus which is called the lower esophageal sphincter. This band of muscle fibers typically works like a valve. It prevents the food from flowing back into the esophagus and directs it towards the stomach. 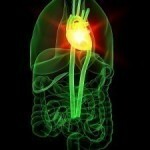 However, when this valve does not function properly, stomach acid tends to flow back into the esophagus. This condition is described as heartburn. It can be caused due to a variety of factors such as eating acidic foods, diabetes, asthma, smoking and consumption of alcohol. It is also a common problem faced by pregnant women and overweight people. This typically happens due to pressure being exerted on the abdomen that results in pressure on the LES. Let us now look at some of the signs and symptoms of heartburn. Heartburn can last for a few minutes or may even extend to several hours. It usually occurs immediately after eating and it caused a burning sensation in the chest, behind the breastbone. This feeling of discomfort may even stretch to the throat and neck. The person may also experience the reflux of stomach contents in their throat. He / she may also experience a sour, bitter, acidic taste in their mouth. Heartburn is closely related to a digestive disorder called gastroesophageal reflux disease (GERD). Heartburn is one of the most common symptoms of this disease. While comparing heartburn with angina, one must bear in mind that heartburn only mimics an actual heart attack. It is not as severe in terms of pain and most of the time, it is not a serious medical condition. 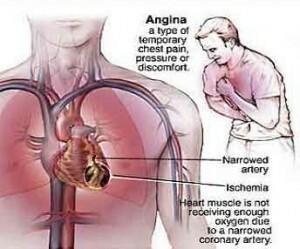 Angina or angina pectoris, refers to severe chest pain that is caused due to the lack of blood to the heart muscles. This is usually a consequence of some obstruction in the coronary arteries or heart’s blood vessels. When this kind of pain lasts for more than 15 minutes, it is best to seek immediate medical attention because it could be the indication of a myocardial infraction or heart attack. People often describe this pain as feeling a tremendous pressure in the chest region, similar to being squeezed very hard. Contributing factors can be smoking, diabetes, high cholesterol, high blood pressure or family history of heart disease. 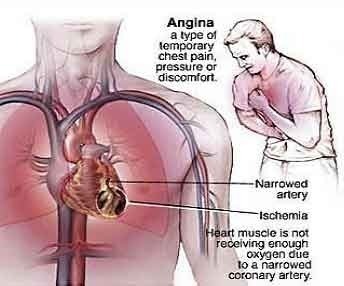 As mentioned earlier, angina is often described as a sensation that causes intense discomfort in the chest region. It almost feels as it someone is squeezing, choking or exercising tremendous pressure in that region. The pain can also spread to the shoulders, neck and jaws. Typically, it causes pain in the inner left arm. Some people also experience nausea, vomiting and pallor. Most angina tests will include heart examinations. A physical assessment and overview of the patient’s medical history will be necessary. This is absolutely necessary if the patient has a history of heart disease. If heart ailment is suspected, coronary angiography will be done. A coronary risk profile is necessary too. The doctor will supervise the ECG. An exercise stress test evaluates the heart’s ability to withstand physical activities. There is also the stress echocardiogram exam. A health provider can easily distinguish between heartburn and a heart attack. Usually, diet change is all that is needed to prevent the occurrence of heartburn. If there are accompanying symptoms (i.e., squeezing or tightness), diagnosis will be necessary. Medication for angina includes pills to lower blood pressure. If the patient has diabetes or ailments, more prescriptions drugs will be given. Nitroglycerin is usually given to overcome chest discomfort. Patients at risk of a heart attack need to take clopidogrel. This prevents blood clots from affecting the arteries. ACE inhibitors, beta blockers and calcium channel blockers are needed to lower blood pressure too. For chronic angina, nitrates are usually prescribed. 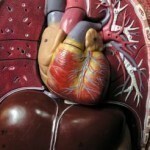 If the problem is linked to heart disease, surgery could be needed. Percutaneous coronary intervention is a process wherein the coronary artery is opened up. Treatment for heartburn includes avoiding alcohol, chocolates and other foods that cause reflux. Lowering the stress level and eating meals in smaller portions is also suggested. Antacids can be used to overcome heartburn. To lessen angina risks, one should stop smoking. Controlling blood pressure, sugar levels and cholesterol is also required. The patient should have leafy vegetables in their meals and eat less pork. Eating fish and drinking plenty of water will also be of help. Regular exercise contributes in stabilizing cholesterol and blood pressure. In the case of heartburn, one should reduce or avoid consumption of citrus juices. Caffeine and soft drinks could trigger heartburn, so they must be avoided too. It is best to eat three hours before sleeping. Do not work out after eating. If you are having trouble sleeping, keep the head about six inches higher than the abdomen, while lying down. Angina and heartburn should never be mistaken for one another. But as the facts show, regular exercise and eating healthy foods can keep both the illnesses away.